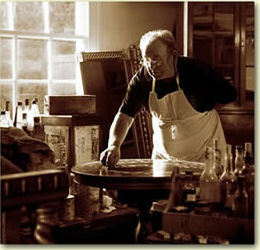 We are an independent family business specialising in traditional and modern wood finishing products. In addition we also supply many related materials including metal treatments, floor sealers & polishes, cabinet brassware, packing materials, safety equipment and much more. We always listen to our customers (and our potential customers...). Our product range has been built up over many years of endeavouring to satisfy our customers requirements. Hence our range is second to none we believe. Most of the major trade manufacturers are represented by us, so even if we don't have what you need on the shelf, we have the facility of obtaining non stock items very quickly and easily. We can obtain any product from any manufacturer listed on this site. In addition, we try and cater for every requirement. Most products, where available, are stocked in a choice of sizes to suit all requirements. Health & Safety information is available online for many of our products. These data sheets come in a variety of formats ; word documents, adobe reader documents and html attachments. These are available via a link on our products page. Others, where available, can be viewed by clicking the HSE logo link (above) with each individual product in the "more info/buy" section of the website. Unfortunately not all product data of this nature is available for publication on the web site. If you require information of this nature that is not available here please contact us to arrange free postage of a selected printed document. All prices quoted in this web site are correct at time of publishing, however we reserve the right to alter any price without notice. Please see Terms & Conditions for the legal statements. Prices listed are all exclusive of VAT . Should you place an order the grand total including VAT will be displayed at the checkout. We have always dealt with the trade. All prices listed are genuine manufacturers trade prices, and in many cases lower than recommended. We endeavour to be the cheapest on the web, hence some prices may drop without notice to achieve this. Ordering online is easy and safe. The shopping facility is fully SSL certified with 128 bit security. Payments may be made with any credit or debit card (except Amex) or by Paypal. 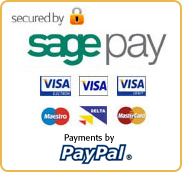 Credit card payments are processed via the Sagepay secure payment site, which means you can shop online safely and quickly. Our website is certified fully PCI compliant. We regret we do not accept cheques. We are open from 8.00am to 4.00pm, monday to friday.